Why Website Security Services Remains Relevant all the Time? After using web security services into your website, you can definitely a huge improvement. The qualities of a web security services can basically keep threats out of the bay. That can assure a smooth online business to you. Though, you can easily put web security services aside because of its availability. Why bother getting things done when you can fix it after the incident? Well, that's the mindset you have to change for good. A website security services is floating around the Internet. You can have it anytime when the attack strikes. Though, you can't always rely on that routine. Some attacks just takes a couple of minutes to shut your website down. Hence, as a vigilant website owner, you have to choose the website security services that can withstand any threats all the time. It's good to choose a good website security services that fits your needs. Before you get a website security services, there are a couple of things that your website will experience during a cyber attack. It's better to read common things that will happen to hacked website. Through that, you'll learn how to properly select the best website security check tool for your website. Google is very smart to detect malware. Their visitors are their golden treasure. They'll protect them from harmful websites. 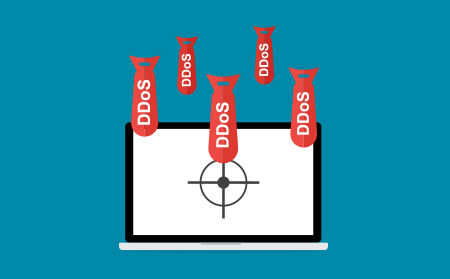 Your website will be a constant target of DDoS attacks DDoS attacks deny access to your legitimate visitors for your online service. It's a different scenario from Google's blacklisting. Above all the website security services, cWatch offers the most efficient features for businesses. It is the website security check tool that combines a Web Application Firewall (WAF) provisioned over a Secure Content Delivery Network (CDN). It is a fully managed solution from around-the-clock staffed Cyber Security Operation Center (CSOC) of certified security analysts and is powered by a Security Information and Event Management (SIEM) that leverages data from over 85 million endpoints to detect and mitigate threats before they occur. You don't have to worry about the risky dangers of cyber attacks everyday. All you got to do is to use cWatch on your website. It'll do the rest of cleaning and protecting your website. Spending on the best website security check tool might appear another burden, but it actually prevents you from the possible risk of spending more on requesting for website consideration from Google and loss of customers. Why do you have to wait for the moment of danger? The best cure is prevention. Protect your website everyday. Register at the cWatch website to enjoy these services.